Awais Imran describes himself as an Internet Entrepreneur and like all eager individuals he began early. 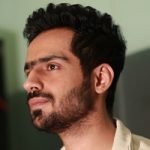 Back in his Matriculation, when most people are clueless, Awais had begun his foray into WordPress, blogging about technology, gadgets, and games. With time as he got better at writing, Awais began writing for popular websites like Redmond Pie and Addictive Tips. His deep interest in technology is what led him to opt for a degree in Software Engineering at NUST. However, upon arriving at university he realized programming may not be the right field for him. Stuck to make the best out of complicated situation, Awais kept pushing through until he took up a course on Human Computer Interaction in his 3rd semester. Suddenly, he began taking active interest in class, doing all assignments and projects himself. He had finally found a potential career path that matched his interests. Not a lot of people can say that. Upon graduating, Awais started working as a Growth Engineer at Jumpshare, a file-sharing startup. Simultaneously, he had begun working with Adnan Shaffi on PriceOye, a price-comparator website for mobile phones. The portal officially launched in February 2016. While handling the entire UX work at his own venture, Awais was determined to introduce the concept in Pakistan. Awais strongly feels that UX Design is the next big thing but sadly people don’t give it its due credit. 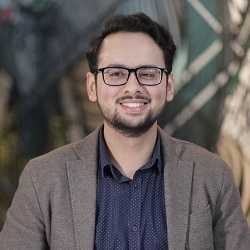 In order to alter the shallow understanding about UX Design among the Pakistani audience, Awais has spearheaded a Facebook group called UX Design in Pakistan. The group has been doing extremely well and is home to fruitful conversations on design thinking and experience, with input from top local and international professionals in the field. 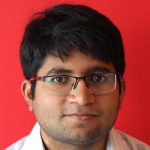 After a brief stint as a UX Designer at Arbisoft, Awais is now working full-time on PriceOye. The venture has seen exceptional growth within a year and sees 500,000 monthly pageviews. His vision is to morph PriceOye into an intelligent price-comparator while also delving into other emerging e-commerce markets. He also plans to receive a formal education on Design Interaction from either Stanford or UC San Diego so that he is better-equipped for making a lasting impact in the field. Awais Imran is the man with a plan – an optimistic plan and another that he calls slightly pessimistic. Here’s hoping the optimistic one prevails.